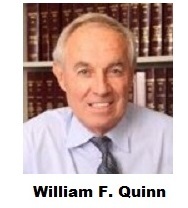 We are also very excited to announce the addition of William F. Quinn, Esq. to our panel of neutrals. Bill brings considerable experience specializing for more than 30 years in all aspects of residential and commercial real estate. As a founding shareholder of his firm, Tinti, Quinn, Grover & Frey, P.C., Bill is a highly experienced expert in all areas of real estate law as would affect any residential or commercial real estate situation or controversy. He has been formally trained as a facilitative mediator, and has settled in quite easily to mediating actual cases, as helping people resolve disputes is how he always practiced law; the merger of field expertise, training, and experience has allowed a very natural expansion of the services he is able to provide clients. We welcome you to view Bill’s biography here, and to call us at (800) 536-5520 to inquire as to his availability to assist with your dispute. 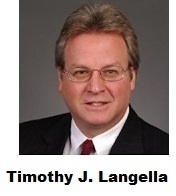 It is with great pleasure that we announce the addition of Timothy J. Langella to the MDRS Panel of Neutrals. Along with considerable experience in business and economic development, Tim brings over 30 years as a litigator, in-house general counsel, and government employee to his now exclusive work in Dispute Resolution. Focusing on both stated interests as well as those revealed in session, Tim excels in pinpointing the issues and helping parties bridge their differences so that a mutually-beneficial resolution can be achieved. His experience has developed in him a belief – which translate to a personal code of exemplary service – that the most valuable aspects of any DR process are efficiency, cost-effectiveness, and confidentiality. We invite you to read more about Tim here, and to call us at (800) 536-5520 to inquire as to his availability to assist with your dispute. Particularly here in Massachusetts, long-held practice has been to start a mediation with a joint session among all parties and their counsel before breaking into individual private caucuses. A joint session is a meeting facilitated by the mediator where opposing parties and their attorneys face each other and speak directly to each other, rather than through the mediator. This gives disputing parties the opportunity to impart their perspectives, and address and listen to the other party directly. Most Massachusetts neutrals would agree that over the past years there has been a decline or growing resistance to the joint opening session. Studies suggest that on the West Coast, use of the joint session has declined even more significantly. If the parties or their counsel approach the joint session as an opportunity to lash out at their opponents, the resulting alienation undoubtedly pushes the parties farther apart. And there are certain cases where it may not be appropriate or useful for the litigants to meet in person, including cases involving abuse claims or where personal animus is so extreme that bringing the parties together in the same room would be detrimental to the process. I have mediated cases where even counsel can’t spend much time together in the same room before fireworks erupt. Other options do exist: there are numerous forms of joint sessions such that the process design can include only the attorneys or only the participants most relevant to the matter. Before deciding to forego a joint opening session, parties and their counsel may wish to consider some downsides of such a decision, and discern how that decision may result in losing some of the unique advantages of a carefully sculpted and mediator-moderated opening joint session. As a commencement, the joint session allows the mediator to set the tone of the conference with all parties present, helping to ensure all participants concur and understand each other’s expectations and starting standpoints. For the mediator, the joint session is the best chance to establish the nature, purpose, and integrity of the mediation process, to get all parties committed to the process, and to work through difficult problems. The mediator is then able to provide a deeper understanding of their role, covering topics such as neutrality, confidentiality, risk assessment, party self-determination, time, cost savings, and closure. Even when counsel or the parties do not wish to make formal opening presentations, they should be willing to remain together in a joint session to answer basic factual questions, identify key discussion topics, seek agreements regarding the law, streamline the issues, and/or consider other process adjustments. Formal discovery may not have been completed prior to mediation, or is inadequate to address key information useful for settlement; in such cases a joint session could provide information integral to resolution. Foremost, however, a joint session provides almost unlimited opportunities for an effective mediation advocate to share and significantly advance the client’s interests and settlement goals, and to persuade the key decision-makers on the other side of the strengths of their case. In most instances, this group has never met face-to-face before the mediation session. There has likely been no forum or opportunity whereby the parties or their counsel have had the opportunity to fully set out their fundamental positions. Concern may also exist that critical messaging is not being heard or understood by decision-makers because it is being filtered through opposing counsel or administrators. For example, plaintiff’s counsel in a mediation is often seeking to influence an insurance representative who has the ultimate settlement authority. The joint session may be the first chance to speak directly and in person to this critical decision-maker and express your view of the case, focusing on how you would like to approach settlement. To forego making an opening statement then enlists the mediator to be solely relied upon to transmit arguments of facts and law in private caucuses with the other side. No matter how talented and well prepared the mediator is, it is the parties and their lawyers who are best suited to directly present the strengths and basis of their own case. Parties and counsel can also choose to provide pre-mediation briefs where appropriate directly to the opposing decision-makers and not keep them confidential to the mediator, so that the in-person presentation enhances the pertinent facts and law that constitute the burden of the case. Keeping mediation briefs confidential to the mediator may in certain circumstances be warranted, but in doing so, the mediator is again being relied upon to transmit your significant arguments to the opponent, particularly when the joint opening statement is also waived. Most mediators have seen how an effective opening statement can be coupled with concise demonstrative evidence, a PowerPoint presentation that is neither too lengthy nor too wordy, photographs, key documents, or portions of key deposition testimony. This presentation has the effect of showing the other side that your case is well prepared and will be effectively tried if settlement is not reached. With the already vanishing jury trial, joint opening sessions provide the parties with the closest thing to their “day in court”. While this may not be true for a large insurer or multinational corporation, the first-time consumer of mediation may come to the table expecting to be a direct participant in the process, and wants to feel that their positions and interests have been advocated, described, and heard by all – particularly the opponents – creating a feeling of direct participation and ownership of the process. The joint session may be the only time an injured or aggrieved party feels heard; this allows them the opportunity to directly or through their counsel state their perspective and perhaps express anger or frustration. This venting is often like letting air out of a balloon: once feelings are expressed, the mediation can get to the real business of a negotiation no longer emotionally charged. Concerns over the possibility of such emotions getting out of hand are real, but an experienced mediator can minimize that possibility through pre-session instructions or pre-mediation conferences. A skilled mediator will also sculpt a process where parties and counsel are instructed to keep the tone positive, speak one at a time in uninterrupted fashion, and avoid unnecessary arguing or grandstanding. Parties can certainly get their voices heard without a joint session with a mediator shuffling back and forth from room to room. A mediation that includes some joint process, rather than just private caucusing, however, tends to leave the parties with a greater sense that the process was fair and just. Studies have revealed increased party satisfaction and greater likelihood that the settlement agreement will be adhered to when the parties are involved directly in the process. If the parties have any interest in a continuing relationship, relationship repair usually begins in the joint session, where disputants can communicate directly in a controlled environment. This is particularly critical where the parties desire to continue to work together, engage in a business venture, or maintain peace where they will continue to encounter one another after the mediation is over. The greatest strength of a case may rest squarely with the plaintiff or the party directly. For instance, if a plaintiff makes a good witness and presents well, the plaintiff’s attorney may want the opposition to see and hear that in the joint session. Many insurance adjusters and key decision-makers come to mediation wanting to observe the plaintiff directly as their efforts to put a value on a case continue. Where a party’s demeanor or presentation may not be helpful to their case, counsel can choose to do all of the talking and reserve comments from their client to private caucuses with the mediator. It may be important for an entrenched litigant to hear the other side’s point of view in a joint session as well. This is a useful reality check in many circumstances, allowing them to gain a better awareness and understanding of the other side’s positions and interests, and to more fully understand the risks and uncertainty of proceeding with litigation. Attorneys and parties want to watch, listen, and evaluate the opposition and their counsel in the joint session so they can learn more about the strengths and weaknesses of the opponent’s case. The joint session also provides an opportunity for counsel and/or clients to express appreciation to the other side for coming to mediation or at least acknowledge something positive such as their willingness to negotiate and hopeful anticipation toward finding a mutually satisfactory resolution. Where appropriate, the joint session might also be used to provide an apology or showing of regret from one party to the other. The most effective apologies are those delivered directly face-to-face. The mediator can help integrate any such apologies in a joint session. Such comments serve as icebreakers that set a positive problem-solving tone and are confidential under the terms of the mediation agreement. The most valuable trait of effective DR processes such as mediation is their flexibility to fit the format to the case. Experienced neutrals can be of valuable early assistance to parties and their counsel in preparing for the mediation session and in making decisions so as to create a process that will be most productive. In many cases a pre-mediation conference call may be useful, and many mediators will proactively arrange this. Parties and their counsel are encouraged to bring to the attention of the mediator in advance any particular issues that need to be factored into the process being designed. Participating in a mediator-crafted joint session can offer unique opportunities for parties and their counsel to more fully engage in the collaborative nature of the mediation process, better advance their positions, understand more fully the positions of their opponents, and increase the likelihood of reaching lasting settlements. Before foregoing the joint session, we encourage you to speak to an experienced neutral who can assist parties and their counsel in formulating an appropriate joint session event that will take into consideration the varied factors noted above to assure maximum effectiveness and productivity. After a joint session, the mediator may ask to have private caucuses or meetings with each party and their counsel to further explore their position and flexibility for settlement. These private caucuses, like the full mediation process, are confidential; as such, the parties often find it easier and more appropriate to discuss certain issues or their willingness to show flexibility. The mediation caucus has been the recent target of some harsh criticism. Detractors dismiss it as simple shuttling back and forth by the neutral which keeps parties in the dark about each other’s interests, and places full control over the flow of information in the hands of the mediator. It is argued that with the absence of the opposing party, it’s easier for one side to exaggerate or manipulate the mediator. Sometimes one party fears that the other party has somehow co-opted the neutral in the other party’s favor and that the mediator is no longer unbiased when they come back into the room. The caucus can also shift the role of the mediator from neutral to primary advocate or agent for the parties, both hearing and making the essential arguments. There also exists a risk that the mediator may inaccurately convey information, or do so out of context. There is, as well, also the no argument that a mediator has too much power powerto influence the process and outcome when they are the only person who has seen how the parties and their lawyers are feeling and acting. To some, the key problem with the private caucus is that it thwarts a fundamental mediation benefit: the opportunity for those most intimately familiar with the details and history of a dispute to be directly involved in its resolution. Indeed, from issue identification to problem-solving, direct communication between the parties is often the most productive and efficient way to advance toward resolution. Perhaps the most significant apprehension associated with caucusing is the potential for mediator violation of confidentiality, either inadvertent or purposeful. A mediator needs to be unconditionally vigilant not to reveal confidential information. In fact, it’s strategically valuable that the mediator explain to the parties that they will not divulge what is said in caucus without that party’s consent. Some also argue that caucusing generally results in but a series of shuttled offers rather than the processing and exchange of views, and subsequent change of perception and awareness, that are the essence of many successful mediations. There are differences in the viability of private caucusing depending upon the type of case involved as well. For example, in divorce and custody disputes, where the parties will be dealing with each other – even if through only limited alliance – well after the mediation has concluded, face-to-face negotiations seem oftentimes best suited toward achieving resolution. Notwithstanding these criticisms, private caucusing is an extremely useful tool in the mediator’s arsenal, allowing the neutral to learn about the elements of the dispute and also the parties themselves, while lessening tensions by providing parties the space to vent and to feel understood by the mediator. Caucusing provides an opportunity for a mediator to help clients process the messages sent by the other party, to give parties care and attention, and to promote resolution of issues individually with each of the parties. It is powerful for the parties to make their views known, and to feel the mediator understands their perspectives. Caucuses provide the opportunity to create an effective client-mediator bond. When the mediator is demonstrably neutral, credibility is established and concerns about an abuse of process are greatly reduced. The viability of caucusing depends, quite often, on the type of case and the parties’ goals. In civil case mediations, caucusing is a more integral and helpful feature of the mediation process. The parties more often than not will have nothing or little to do with each other post-session, thus, the burden that caucusing could pose to any future relationship is less commonly an issue. Particularly in civil cases when money or settlement value is the key concern, the parties will come to the mediation with their lawyers, understanding that in their situation a strong caucusing element with features of shuttle diplomacy by the mediator is generally very effective. Whatever the reason for caucusing, there are a few things good mediators establish if they are going to use this technique. Upon commencement, experienced mediators will explain what private caucuses are, their confidential nature, and that they may be held at some time during the mediation. The parties should be aware of how caucuses can help, and that either the parties or the mediator may request a caucus. Confidentiality is a principal element that mediators must consider before they employ caucuses. Although a caucus may involve confidential information, it’s not about telling secrets or about excluding individuals, and it is assuredly not about leveraging position based on confidential information. Rather, these private discussions should be kept privileged by the mediator, and only those proposals that a party specifically authorizes a mediator to share with the opposing party should then be divulged. The mediator can be proactive and ask for permission to share information and proposals they believe will move the mediation forward. Many mediators chose a process whereby everything said in the caucus may be shared except what the participant wants kept confidential. The other option is to explain that everything said in the caucus will be kept confidential except things specifically identified by the participant that may be shared. The former process permits the neutral to utilize their skills and experience to determine what, if anything, should be shared or held back when working with the opposing parties in order to best facilitate the process to the benefit of all involved. Time is a major consideration in managing caucus sessions. Managing time so that the opposing party is not left alone for too long is typically advantageous. The party not in caucus may be left feeling worried or stranded, particularly after the momentum generated from the initial joint session. Before breaking into caucus sessions, it helps to reassure the parties that the length of time in these private meetings may be different with each party and is not entirely predictable. The key value of the caucus session is that parties can talk frankly and freely about the dispute, compared with the more guarded expressions experienced when meeting jointly. The private and confidential nature of the caucus tends to decrease anxieties, allowing the parties to share case strengths and weaknesses, their view of the opposition’s case, and their underlying interests, as well as allow for suggestion of new ideas for solutions. A mediator can ask questions in confidence that a party might not want to answer in a joint session. A skilled mediator, particularly in private sessions, is likely to discuss with each party the realities and alternatives facing them if, for example, they decide to go to trial. Most parties appreciate candid discussion regarding their chances of a verdict in their favor, information on a likely award, an estimate of time it could take to get to trial, and how much it might cost financially and emotionally to go through a trial. In private caucuses, the mediator can also offer negotiating advice and work to develop settlement proposals. Some parties are resistant to hearing such realistic messages, even from their own attorneys; they may have overly optimistic assessments of what a trial may result in should they decide not to accept settlement. The mediator can be quite effective, as an impartial and experienced neutral, in dealing with unwarranted optimism. Sometimes the relationship between the parties has become problematic. A caucus can be called to allow parties to vent intense, built-up emotions without aggravating the other party. Caucuses are frequently helpful in clarifying misperceptions. These private meetings are essential when used to address unproductive or negative behavior, and to limit destructive communications between the parties. Mediators orchestrate the use of caucuses to fit the nature of the case involved, and toward the needs and interests of the parties. A private, confidential caucus is a valuable tool which can produce impressive results. Utilizing this procedure the parties have an opportunity to openly discuss the dispute, providing needed grounds for progress of the matter, compared with less optimal information gleaned during meetings where guarded expressions of information are invoked because the other party is present. Private caucuses put the parties at ease, allowing uninhibited discussion of their position’s advantages and drawbacks, consideration and analysis of their opponent’s case, and exploration of latent interests. Private caucuses allow the parties to thoughtfully and intentionally work with their mediator to reach relevant and productive solutions for resolution. DR Industry leader Brian R. Jerome brings valuable knowledge and experience of out-of-court Dispute Resolution to those seeking mediation and arbitration solutions as a means to achieve faster, less frustrating, and more effective resolution to business and personal disputes. October 18th, 2016 – BRIAN R. JEROME, MDRS founder and CEO, has been selected to the 2017 Massachusetts Super Lawyers list. Each year, no more than 5% of the lawyers in the state are selected by the research team at Super Lawyers to receive this honor. Attorney Jerome, Chair of the Massachusetts Bar Association’s DR Section, is available for questions and interviews. About MDRS – With offices in Boston and Salem (MA), Massachusetts Dispute Resolution Services (MDRS) provides a full range of out-of-court mediation and arbitration services to private individuals, attorneys, business, labor, and the insurance community. MDRS, one of the first DR providers in Massachusetts, offers a professional panel of over 35 select neutrals, including retired judges and experienced attorneys. Including cases handled by the panel, they have resolved more than fifteen thousand cases for their clients. Massachusetts Dispute Resolution Services provides mediation and arbitration services to parties seeking equitable settlement of their disputes without the time, expense, and frustration which often accompany the more formal trial court system. MDRS neutrals provide a wide spectrum of experience paired with a wide range of dispute resolution processes designed to meet the parties’ interests in solving disputes equitably and skillfully. If you would like more information, please contact Marketing Director Sheri Wilson at (800) 536-5520 or swilson@mdrs.com. In 2005, the Association for Conflict Resolution [ACR] designated the third Thursday in October as Conflict Resolution Day, and later, the American Bar Association [ABA] designated the third week of October as Mediation Week. Over the past decade, many states and other organizations have proclaimed days, weeks, and months in this honor, acknowledging the commendable and empowering services provided to all people via the many methods which comprise Dispute Resolution. focus this week on promoting fair, equitable, and creative solutions that are acceptable to the needs and interests of all parties involved. What makes mediation successful? To answer this, it is important to consider the roles and relationships between a lawyer, their client, and the mediator throughout the mediation process. Many of us who are attorneys can recall our law school years being focused primarily on developing strong advocacy and trial skills, with little to no emphasis placed on developing negotiation skills to reach settlement. Litigators still rightly pride themselves on their trial and advocacy skills; it is this ability and willingness of an attorney to effectively try their case that creates the opportunity to reach more favorable pre-trial settlements. However, the primary focus of law practice is not trial but rather the preparation, negotiation, and settlement of cases, as less than 3% of cases actually go to trial. Mediators are experts in the complex process of negotiation and settlement of disputes, skilled facilitators who orchestrate mediations like efficient business meetings. They create dynamic, structured, and respectful climates, and encourage all parties – as well as their counsel and/or insurers – to express themselves as needed so as to completely grasp all aspects of the conflict, material and human. S/he helps the parties focus on fundamental needs and priorities, seeking out and encouraging common ground toward the achievement of satisfactory settlement. Effective mediators go beyond simple facilitation of the process, exploring the parties’ positions, raising questions regarding these positions, conducting reality testing, and focusing the participants on the potential strengths and weaknesses of their case, preferably in a non-threatening and confidential manner. Capable mediators give honest feedback, cutting through posturing and argumentativeness to help parties get down to the business of resolution. Mediators help the parties develop an agenda, identify key interests, and create a realistic action plan. An attorney’s role in the mediation process is both as advocate and advisor to their client. It is the attorney who has prepared, investigated, discovered, and presented the case for the client. S/he advises the client when and if mediation is appropriate – whether at the beginning, before suit is filed – or during (or after) the discovery process is completed. In most, but not all cases, the attorney has engaged in a negotiation process to attempt settlement before formal mediation is commenced. It is the lawyer’s role to explain to their client the nature of the process and what to expect during mediation. Further, the lawyer assists the client in making an informed choice of the mediator based upon the type of case, as well as the background and experience of the mediator. who will take the lead role (if applicable), and how that may change as the mediation progresses. The attorney advises the client on the substantive law relevant to the case and to the greatest extent possible, anticipates the arguments that the other side is likely to make at the session. A client’s level of trust in their lawyer can be badly damaged if the client learns of potential risks for the first time at a mediation, such as that there is substantial risk of summary judgment before trial, or that the forecasted legal fees will be more than previously anticipated. The mediator will likely be discussing these issues and relevant risks in private caucuses, and the client is likely to hear similar points from the opponent during the course of the mediation. An attorney and well-prepared client are more likely to be convincing that their position is serious and reasoned, as opposed to mere posturing. These perceptions are often translated back to the opposing party through the mediator. The client should also have the benefit of their lawyer’s opinion of likely outcomes at trial and/or valuation of the case prior to the mediation. This enables the client to begin considering a range of acceptable outcomes as part of the process. For example, in a personal injury case the lawyer may advise the party of possible outcomes regarding the issue of liability, as well as reasonable and realistic ranges of a monetary judgment. The client should be strongly encouraged to come to the mediation with an open mind, avoiding bottom line positions. It is important that clients understand the confidentiality of the mediation process, both under the terms of the written mediation agreement in effect, and by applicable statutes or laws, such as in Massachusetts, MGL c. 233, s.23c. The client should be informed how this confidentiality applies to both the initial joint session and, importantly, how the private discussions or caucuses with the mediator are themselves confidential. Confidentiality creates the foundation of the mediation process and allows parties and their counsel to speak openly at the session about their case and legitimate needs. Confidentiality allows the parties to make reasonable demands and offers with communications being protected from disclosure at trial should the matter not resolve. The more that a mediator can learn – in confidence – about the fundamental needs of the parties, the better they are able to foster a resolution that best satisfies everyone involved. Principally, a mediation is for and about the parties. It is the client’s case and they ultimately decide whether to accept settlement or not, after considering the advice of their counsel. Most parties who proceed to mediation seek to resolve their case at that session so as to avoid the continued anxiety, time, and expense of further litigation and the uncertainty involved in going to trial. Many parties feel that mediation is equivalent to their day in court, an opportunity at long last to express their arguments, perspectives, and feelings to both the opponent and their expert and impartial mediator. procedures to be employed. At the opening session the mediator should clearly set forth the procedures and background rules, explain the mediator’s role and impartiality, and review mediation process confidentiality. It is not uncommon for parties to come to mediation with intense emotions, anger dating back to the underlying event giving rise to the claim, or with frustration emerging from the claims and litigation process. These emotions need to be expressed before an aggrieved party can consider resolution. Some attorneys limit their client’s active engagement during the course of the mediation session. While in some cases this may be advisable (i.e. where the client has a tendency to speak about their case in a damaging manner, has excessive anger, and/or otherwise would disrupt the mediation process), counsel should nevertheless expect that a mediator will seek to engage the client in discussion, at least in private caucuses, to assess their views, emotions, needs, and priorities. It is important to afford a mediator this opportunity with the client to directly establish confidence, impartiality, and trust. A lawyer should consider advising the mediator in advance of the session of any client issues, such as intense emotions or unrealistic expectations; most mediators are happy to speak with counsel prior to the mediation session in this regard. Attorneys should consider the advantages of direct client participation as they advise as to their clients’ level of involvement. Attorneys understandably tend to make strong opening statements at mediation. Persuasive opening statements have the advantage of impressing the strength of their arguments, belief in their case, and preparedness to proceed to trial if mediation is not successful. Many clients expect strong advocacy from their attorney at mediation, however should be educated that resolution is more often achieved when adopting a more collaborative approach. Mediation is not a trial, and remarks made in joint session should not be inflammatory, belligerent, or personally offensive to the opponents or their representatives. Such statements often widen the rifts that exist between disputants. In such instances conciliators expend precious time during the session, in effect rehabilitating the offended party to a point where compromise and collaboration on their part is possible. At the very least, counsel should consider expressing good faith intentions during the joint session, and that it is their desire to avoid, if possible, further litigation and trial. Such representation often enhances negotiation outcomes. Attorneys can face challenging clients with unrealistic expectations regarding their likelihood of success at trial and/or expected verdict ranges, even when duly counseled. In such cases, the mediation process allows clients a first-hand glimpse into the strengths of the opponent’s case and gives a preview of how the evidence could play out at trial. The mediator guides parties through reality testing and risk analysis, with settlement often presenting more attractively than other alternatives. Mediators ask hard questions to all sides in the dispute. A practiced mediator, after having established rapport and having demonstrated themselves as being both impartial and equitable, can speak in private caucuses about the strengths and potential weaknesses of the case. Mediators must understand the thoughts and expectations of all parties, and rationally discuss the risks involved in proceeding to trial, existing judge or jury trends, the time and expense of further litigation, and the anxiety and frustration which too often accompany that path. At times, the attorney has unrealistic expectations for their client’s case. Being sure to respect and foster the important attorney/client relationship, a mediator may need to engage counsel similarly about their thoughts and expectations, providing them with a different perspective on potential risks and nuances of a given case. Some attorneys are uncomfortable continuing to stress weaknesses in their case to the client or insurer, anticipating a negative response. In such cases it can be very powerful for the parties to hear directly from an unbiased mediator the shortcomings of the case so they can consider a more realistic evaluation. This is why it is critical for all parties, as well as insurers with needed settlement authority, to attend the mediation. Even insurer participation by telephone is a poor second to actual mediation attendance. In such circumstances, the mediator’s ability to speak to the insurer is limited and, too often, entirely restricted; to make the most of the process, the attorney should have his insurance client attend the session and work with the mediator directly. Finally, participants are often anxious to depart the session when settlement is reached. They do not wish to remain for the processing of a signed settlement agreement, preferring to prepare and sign such an agreement in the following days. However, most mediators know of cases where the agreed upon settlement falls though, whether a party changes their mind or a misunderstanding arises as to previously agreed-upon terms. At the very least, there is the need for a minimal, written, signed, and legally binding settlement document at the end of every successful mediation. The attorney, the client, and the mediator have all worked hard and must ensure that the settlement is binding. It is critical to thoroughly sculpt the terms of the mediation settlement agreement and/or further releases while all parties are immediately available. We hope all parties better understand the multifaceted roles and relationships that come into play during the mediation process. Dispute Resolution methods provide effective alternatives to the time, expense, frustration, and uncertainty of ongoing litigation. The numbers don’t lie: 95% of pending personal injury lawsuits end in a pretrial settlement (according to Law Dictionary’s website), while legal news site Above the Law reports that only 1.5% of civil cases in Massachusetts ever make it to a jury. We at MDRS are excited and grateful to have been part of this prodigious evolution in the practice of law during our 25 years of service. Recently, our role in the DR community has taken an even more specific leadership turn. Our founder and CEO Brian Jerome spearheaded September 1 st ’s official launch of the MBA’s brand new Dispute Resolution (DR) Section. Not only does the MBA finally have a dedicated DR Section, there has been an important terminology advancement as well: previously known as Alternative Dispute Resolution, ‘ADR’ has graduated to a more appropriately-named Dispute Resolution, or ‘DR’, in reflection of its legitimate wide-ranging contributions to law. “We’re delighted with the launch of our Section, and are working hard to become the primary resource of collaboration, outreach, and service for the entire DR industry here in Massachusetts,” said Brian Jerome, Chair of the MBA’s DR Section. The new Section is building off the dedicated efforts of the earlier committee-driven working groups to offer resources to all who wish to access them, well beyond the previously limited membership. Any MBA member can join the DR Section (at no additional charge). Participation offers many rewarding opportunities to collaborate and network with known leaders in all areas of the law, gain new information and practice skills, provide service to the community, and be part of actual industry innovation. Goals for the 2016-17 Association Year are in development and include outreach to every law school in Massachusetts and the development of live case observation plans, establishment of an appropriate and meaningful CLE program, skills development via best practice events, focus on identifying and meeting specific needs of young lawyers and those in small firms and solo practices, and much more…all of which are being conducted with the promotion of current and future MBA membership and participation in mind.